I help a lot of people with Social Security. One thing they all have in common is that they’ve called their local Social Security office at least once. Most of these calls have ended in frustration. It doesn’t have to be that way. If you know who to ask for, you’ll get the help you need. A decent part of my living comes from consulting with individuals throughout the nation with Social Security issues. For some, it’s simply determining how their filing strategy fits in with their overall retirement plan and making sure they haven’t missed anything. For others, I help solve complex Social Security problems. Many of these people that I help would never call me if they would have received a satisfactory answer and solid advice when they called their local Social Security office. So I may be hurting myself slightly, but I can’t stand to see any more bad (and sometimes non-reversible) decisions made as a result of incorrect guidance from the Social Security Administration. I’m going to tell you who to ask for the next time you call. If you want to find the number to your local office, here’s the Social Security office locator. If you’ve ever been to your local Social Security office, you’ve probably seen a maze of cubicles and possibly more employees than you expected. All these people have a role and handle very specific areas of Social Security benefits. 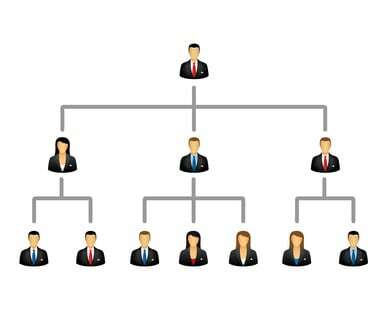 Within each Social Security office there is a hierarchy of representatives. Not all are created equal. For retirement and disability benefits, the Social Security employee will most likely have one of the following titles. Service Representatives have the responsibility of handling general inquiries, fixing simple post-claim issues and answering the phones. Simply put, they are generalist. Although this is the first position for a new hire, I wouldn’t automatically discount their experience. Some Service Representatives begin, and end, a long Social Security career with the same title. Just understand, the Service Representative that answers your call may be a 6 month employee-or a 25 year employee. The Claims Representative is there for one reason. To assist individuals in filing claims to benefits under Social Security programs. Unless you are ready to process your claim, you’ll have little interaction with this representative. The Technical Experts handle the complex cases and do the stuff that’s too complicated for the others. Those I’ve come in contact with have exhibited a deep understanding of the rules and provisions of the Social Security programs. But you won’t find them answering the phones or meeting with just anyone. Normally, you have to be referred by a Service Representative or a Claims Representative to get in front of the Technical Expert. The next time you call (or visit) your local Social Security office, you’ll speak to a Service Representative. Give them a chance and they may be able to help you. However, if you have ANY doubt about what you’re being told, it’s time to escalate. Ask them to let you speak to a Technical Expert. It may take a while, but eventually you’ll be able speak to the most knowledgeable person in the office. If that’s still not enough, find a qualified financial advisor to help you. No one will help with my problem because they have flaged my social security number,and I never can talk to live person on phone. When I go in I am told problem will be looked at. I can’t stay and wait because allotted time is up and a Guard is there. Also I have to drive 100 mile round trip to office I can’t make trip ever day. I need help, I have written congress person but never get a reply. PLEASE I NEED HELP.